We are a true community of yogis—open to participants of all ages, shapes, sizes, and abilities. We are a studio for those who wish to deepen their understanding of yoga and healthy lifestyle practices. A dynamic blend of strength, flexibility and sweat in a room heated to 90 degrees. Rise and Shine! Awaken your body and mind with movement and a strong invigorating practice. Begin with a calming class including breathing, gentle movements and supported poses. Appropriate for the first-time yogi as well as the seasoned practitioner hoping to slow down with a softer practice. Build a solid foundation for your yoga practice with a slow paced class with demonstrations and explanation of the basic poses. Use movement and breath together to produce a "flow" of postures that lead naturally from one to the next. Develop strength and flexibility while learning to breathe deeply and learning tools for relaxation and stress relief. Move through gentle yoga postures sitting on or standing using a chair for support. Vinyasa is a strong practice that builds heat, endurance, flexibility, strength,and mental focus. Modifications will be offered to meet your practice wherever it may be. Combine basic and advanced poses and find new dimensions in your practice. 5Elements Earth Flow is a grounding, hip-opening practice which emphasizes stability and strength through a steady and strong flowing sequence. Try this relaxing, gentle practice, focused on the breath and the release of tension. The last 15 minutes of the class will be dedicated to a guided meditation. Settle into supported postures for 3-5 minutes working the deep tissues of your ligaments, joints, fascia networks and your bones. 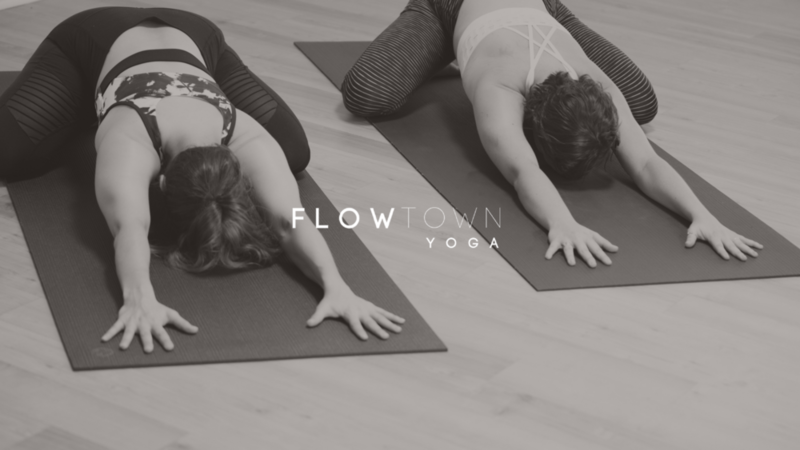 At Flow Town Yoga, we believe our values OF KINDNESS AND INCLUSIVITY ARE THE CORE OF OUR OFFERINGS. 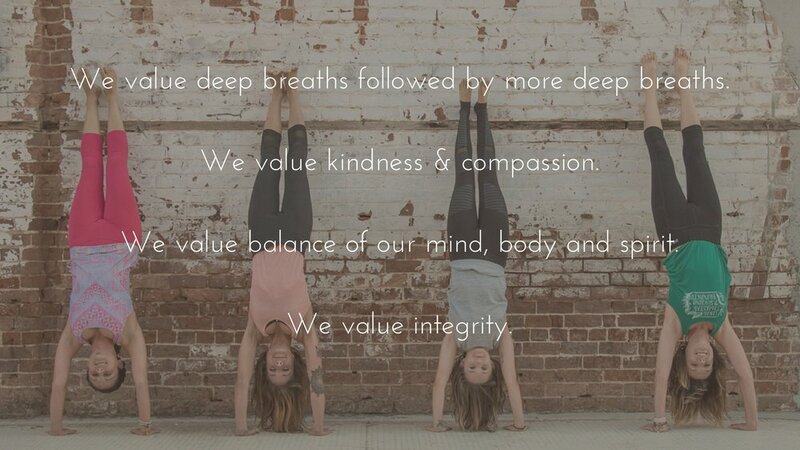 At Flow Town Yoga, our values are the core foundation of our offerings. The values of kindness, acceptance and inclusivity represent who we strive to be through this experience of growth. 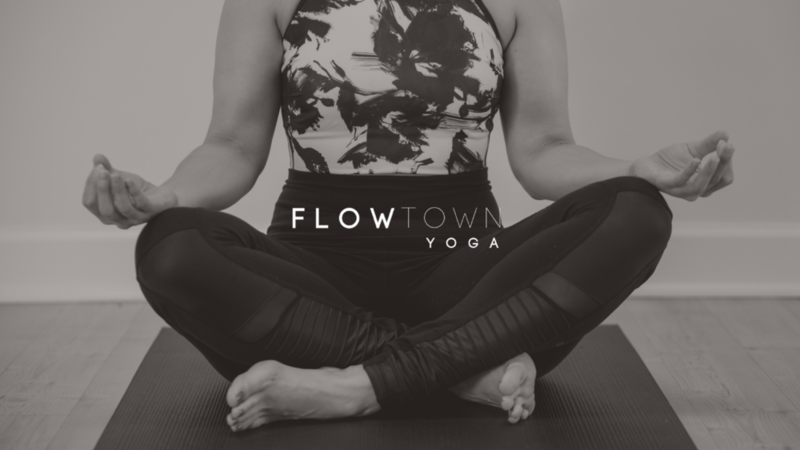 Flow Town Yoga was founded in February 2017 for our collective well-being through the yogi lifestyle. We are a new community of yogis, open to participants of all ages, shapes, fitness levels and backgrounds, who wish to try, learn or deepen their understanding of yoga and healthy lifestyle practices. Our mission is to spread kindness, love, acceptance and inclusivity. To use the yoga practice and it's teachings as a way to serve and give to our community. To inspire others to live a healthy live style, and to contribute to the wellbeing of the earth and all living things, so together we can be an agent of positivity in the world. 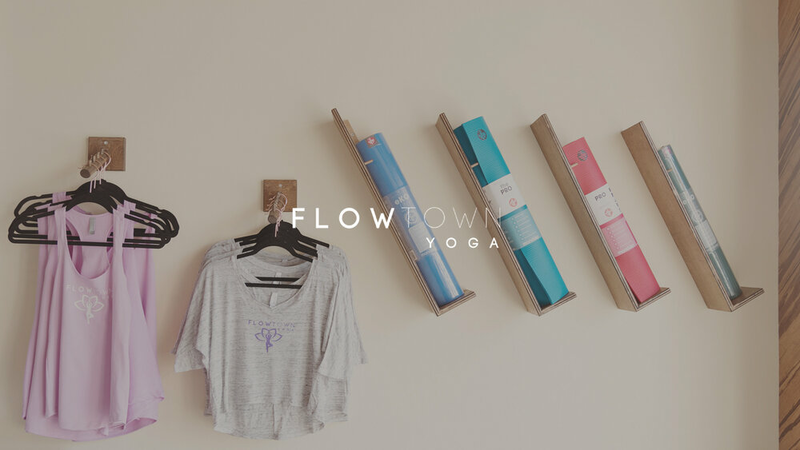 At Flow Town Yoga we contribute to our community by donating and fundraising for two local Non-profit organizations. During the year of 2017-2018 we have donate to Foster Care Clothes Closet and Lucky Dog Animal Rescue. We will also donate the proceeds from any additional community events to our yearly non-profit beneficiaries. ‘Kunga’ is a Kinyarwandan word that means “to help” or “to serve”. Denise hesitantly discovered yoga in 2015 while looking for a way to gain flexibility and ease anxiety, and she never looked back. I’m passionate about sharing yoga with as many people as possible, and hope you leave my classes with renewed energy and a big smile. “Yoga is a path of service, to my community, to the earth and all living beings”.